The last read of the year! I was going back, thinking maybe this would be post #52 in the Friday Reads category and turning it into an anniversary post of sorts – it’s #54. Apparently, I didn’t start 2016 by deciding to do Friday Reads posts, I started in December 2015. Time flies. 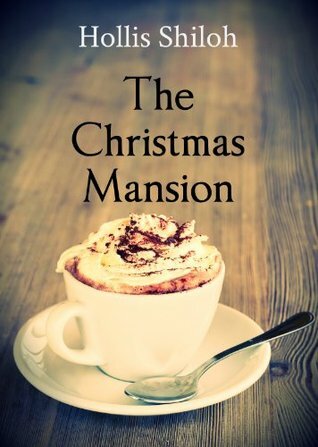 So, for this 54th post, I’ve read The Christmas Mansion by Hollis Shiloh. I’m absolutely certain I’ve read Hollis Shiloh before but according to my read shelf on Goodreads I haven’t. That doesn’t mean that I haven’t, though, I fear I’ve read a lot of books that never made it to my GR shelves. The Christmas Mansion is a short, sweet story about a man fixing up a mansion for a Christmas party and the magician he hires to help him. It’s a gentle story in a historical setting, but apart from the mentioning of Christmas a few times I didn’t get a holiday feeling. This is not a steamy read, it’s not packed with action, and even though the love interest is a magician there isn’t much of the paranormal either…but it’s sweet. If you want one last Christmas read for the year, check it out. In a world of gas lighting and horse-drawn carriages, Rex is fixing up an old mansion to host a Christmas party for his wealthy family’s business. He meets a gentle, insecure magician named Gene, who’s come to work on the crumbling mansion’s moldings. He doesn’t expect to fall in love.